Privacy protection. Information pursuant to Legislative Decree 196/2003. This information that is provided pursuant to art. 13 of the d.lgs.n. 196/2003 and subsequent amendments – Code regarding the protection of personal data to those who interact with the web services of NATALI ALIMENTARI Snc, accessible by telematic means starting from the address: www.natalialimentari.it, corresponding to the initial page of the site official of the writer. The information is prepared in accordance with the recommendations of the European Community issued on the subject and implemented by the Italian legislature. This information concerns only this site and does not apply to other websites connected and / or possibly consulted by the user through links. 41037 Mirandola (MO) -P.IVA 02273630364, Tel. +39 0535 610263, in person of the legal representative pro-tempore. All communications addressed to the holder can be sent via the form on the site to the page: Contact. The treatments connected to the web services of this site take place at the aforesaid location and are only handled by technical personnel of the company or by persons in charge of occasional maintenance operations. The personal data can also be used by NATALI ALIMENTARI S.n.c. and from its sales network and / or concessionaires for sending their informative and / or promotional material by post, fax or e-mail. These data will not be disseminated in any way, transferred to third parties or otherwise used. contact form located on the Contact page. postal address at the headquarters of our organization. They are necessary for the operation of the various pages of the site. In their absence the site may be incomplete or not fully functional. The site also uses third-party cookies, from other sites and content in various elements hosted on our pages (icons of social networks that allow visitors to interact with it, images, videos, etc.). Our site may also use AdWords and the services of the Google Analytics Remarketing Lists for Display Network advertisers. C.A. NATALI ALIMENTARI S.n.c. and Google use both its own cookies (such as Google Analytics cookies), and third-party cookies (such as DoubleClick cookies), to display advertisements based on visits to the site. 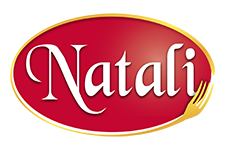 Therefore Google or other sites may show the promotional material of NATALI ALIMENTARI S.n.c. also on other sites visited. You may decide not to be included in the Google Analytics data for the Display Network and Adwords, and to opt out of personalized ads on the Google Display Network, by visiting <https://www.google.com/settings/u/0 / ads / authenticated> Google “Ads Preferences Management”, which distributes a browser add-on (add-on) to disable Google Analytics and not be included in Google’s programs. If you want to permanently disable the DoubleClick cookie, you can install the DoubleClick opt-out extension. If you do not wish to receive cookies, you can set the settings of the navigation program to block reception. In this case we inform you that some parts of the site may not work properly or may not be available. Google Analytics cookies can be disabled by using the opt-out add-on that can be downloaded for free from Google. It is also possible to delete cookies by acting on the specific function of your navigation program.